Veri, a Kilkenny based startup helps trainers to track and review training performance from their mobile phone – making the use of paper forms redundant, reducing administration time by up to 30% and allowing users to quality assure their training. 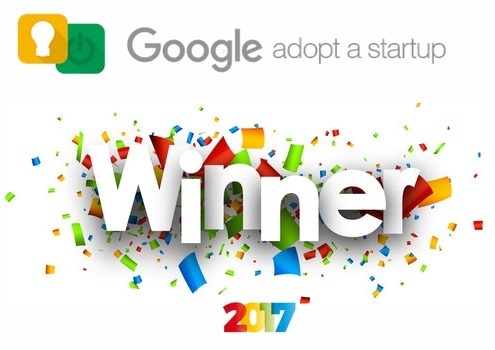 “We put a lot of time into getting the most out of Google’s Adopt A Startup programme and this win validates the team’s hard work.In our business we help digitise compliance for companies across various sectors including the health and construction.We are absolutely delighted to be named overall winner of Google’s Adopt A Startup programme and would like to thank the team and our mentors for all the help they gave us throughout the programme”. 30 start-ups competed for a place in the final, and in the end, eight were chosen to present a seven minute pitch focusing on the results they had achieved through taking part in the Adopt A Startup Programme. Google had the difficult decision of picking the winner from a superb line up of companies. Speaking at the final, Colin Goulding, Director, Global Customer Care said, ” Veri joins a stellar alumni of past winners including Food Cloud, Jobbio, Logograb; Arklu and Beats Medical, all of whom have gone on to achieve scale and growth in the intervening years. “It wasn’t an easy decision for the judges, given the richness of talent and the achievements of our finalists over the past 12 weeks. All our Adopt a Startup companies have shown real promise throughout the programme and I expect we’ll be hearing a lot more from them over the coming years”. The Adopt a Startup Programme forms part of Google’s commitment to supporting the Startup community in Ireland. Over 100 companies have participated in the programme since its inception and many have gone on to raise significant capital funding and greatly increase their employee numbers. Other supports provided by Google to Ireland’s StartUp community include mentoring events such as Ireland’s Best Young Entrepreneur, hosting community events with partners like Startup Weekend and Enterprise Ireland and its partnership with Dogpatch Labs. Irish Startups can also avail of work spaces from Google for Entrepreneurs programmes in Dublin, London and the US. Veri, will receive €10,000 in AdWords credit and will become eligible for the Google Cloud Platform for Startups which comes with $100,000 Google Cloud Credits. IITD Awards 2019 – It’s a Veri happy day….